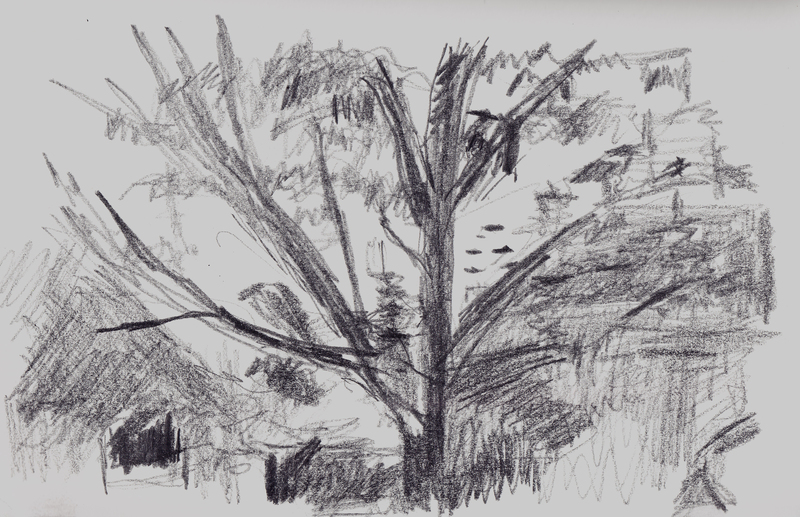 Notes: sketch # 16 11.23 am 84f feel like 85f 28c feel like 29c Slight breeze. Thought I would come out to the edge of town where the Heritage House Museum is situated. Just not a lot of shade to be had unfortunately. The above barn is on the outer limits of Pflugerville where they have situated an original house, traditional barn and a windmill plus some other things to represent a past time in Pflugerville. There is also a brand new community pool beside it for the younger kids of Pflugerville and a play scape. Unfortunately, no one has thought to put in any shade around about, so I was hunting for a suitable spot which was a bench in front of play scape and red barn. The bench was barely covered with shade (from the play scape awning) and I could feel the sun beating down on my back. I always check before I sit anywhere as ants are always a problem over here but there didn’t seem to be any when I first sat down. About 5 mins after starting I saw one random ant and quickly brushed it away. It was fairly large so I knew it was not one of the dreaded fire ants. I think they were attracted to the sweat in my feet which were almost in the sun, as more came along and then 45 mins into the drawing, they began to swarm and couple bit me. At least they weren’t fireants, so they were just little nips but enough to say to myself, that’s enough. Its a pity because I was just getting to work with the drawing and probably only needed another 10 mins to get it completed. Notes, No 17 Time midnight- 12.00 am. I can’t sleep and I saw something in A&I* about drawing at night so that is what I am going to do. 12.21 am Well drawing in the dark is a bit like drawing in the dark! I really couldn’t see what I was putting down on the paper but it was very freeing. I really didn’t care. I just put down fairly random marks. I would like to do it with paint next time! Yes, very random and probably to do with having a couple glasses of wine and then going to bed with thoughts racing through my head. I enjoyed doing it though and just that 20 mins of drawing settled me down enough to sleep reasonably well for the rest of the night. Maybe I should try it more often as sleep is frequently elusive. You really are on a roll aren’t you? 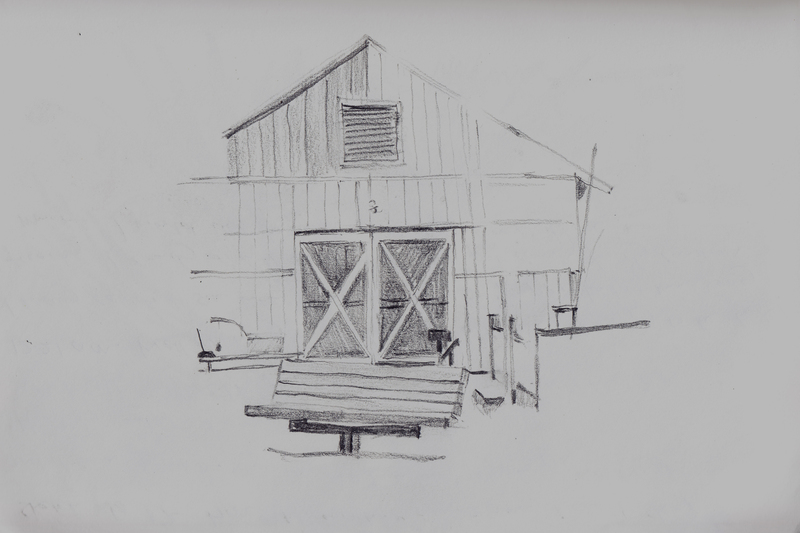 I love the barn drawing at the top and I hadn’t thought of drawing at night to help sleeplessness. I was determined that this will be the year I actually commit myself to doing what I say I want to do. I got a little waylaid during the middle part of the year but I am back on track now. I will have that sketchbook completed by the end of December. Now I just have to decide what I will do with all this productivity in the way of larger scaled work.